FORMER Finance minister Tendai Biti yesterday sensationally claimed that government was planning to reintroduce a local currency this week, describing the purported move as "pure undiluted insanity". Posting on his Twitter handle, Biti said: "The regime will this week introduce a new Zimbabwe currency not backed by any reserves and without any structural reforms which are prerequisite of currency reform. "That move is pure undiluted insanity. An unbanked currency is just the bond note by another name." Contacted for comment, Ncube shot down Biti's post insisting that the environment was not yet ripe for the introduction of local currency. "Well he (Biti) is not in government, but I always enjoy interacting with him. I think he is free to comment and also as a member of the opposition that is always welcome. He keeps us on our toes. We have policy. We will do it [introducing Zimbabwean dollar] when we are ready. We have a game plan, roadmap. 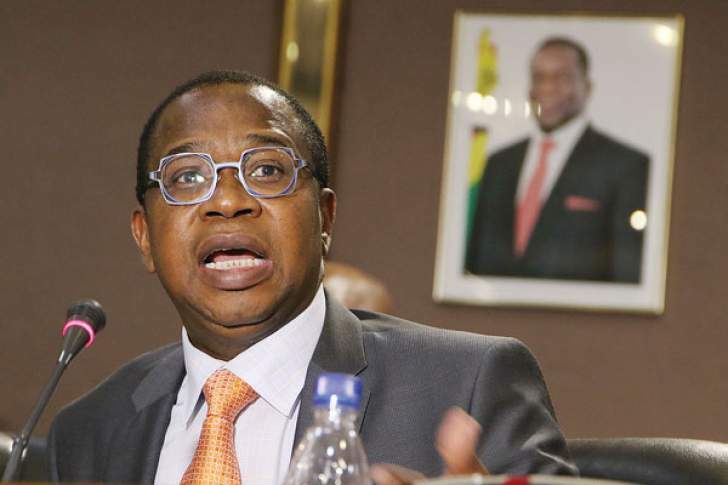 We do the needful when the conditions are right," Ncube said. "I cannot give a timeline. If you remember, I have always said by 12 months we should have done a lot in reforming our currency and monetary system." Mangudya said: "There is nothing like that. There is no comprehensive response as there is nothing to comment on." Biti's social media post caused anxiety in the market, with the transacting public expressing fears of a repeat of the nightmares they endured in 2008 after the Zimbabwe dollar was eroded by hyperinflation and was eventually phased out. "Our trade balances need to be improved, we need to have enough gold reserves as well as put in fiscal discipline measures. At the moment it is impossible to talk of a new currency within the next months. We need to have export-import cover of more than $6 billion so that we could have a healthy trade balance sheet," Mugano said. Zimbabwe has been using the United States dollar as its base currency along with other currencies that include the South African rand, Botswana pula and the United Kingdom pound.